Tayo Lawal's Blog: Meet Ayodele Daniel Dada, Unilag's best graduating student with 5.0 CGPA. 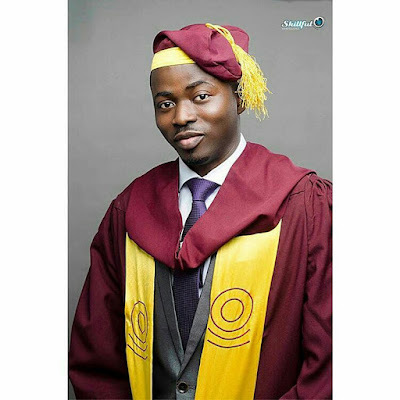 Meet Ayodele Daniel Dada, Unilag's best graduating student with 5.0 CGPA. Ayodele Daniel Dada is the Unilag's best graduating student for the 2014/2015 academic session with a record breaking 5.0 CGPA. Being the first of its kind in the history of the prestigious University of Lagos, Unilag, since it was established in 1962. Ayodele's achievement is also the very first in Africa and the 2nd in the world. He's from the department of Psychology, Faculty of Social Science. A very big congrats to a rare gem, Ayodele and all the graduating students of the distinguished University of Lagos.